birth of their first child, Della Rose Hefty. 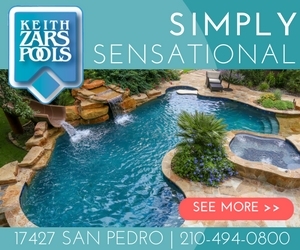 young designers are known for their contemporary regional architectural style. family possessions into the mix. was chosen for Della’s domicile. 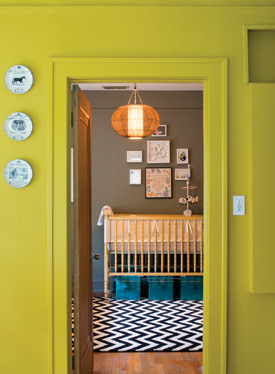 The vintage crib that once held mother Kristin was repurposed in glossy mustard. 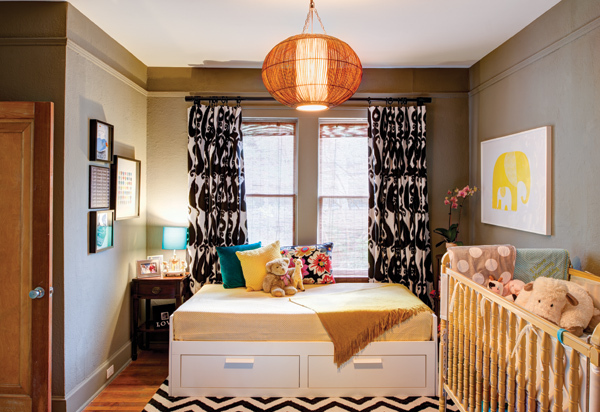 Hefty sewed the draperies for her granddaughter’s bedroom. fabric shade that she pulled into the color palate with gold tones, as well. 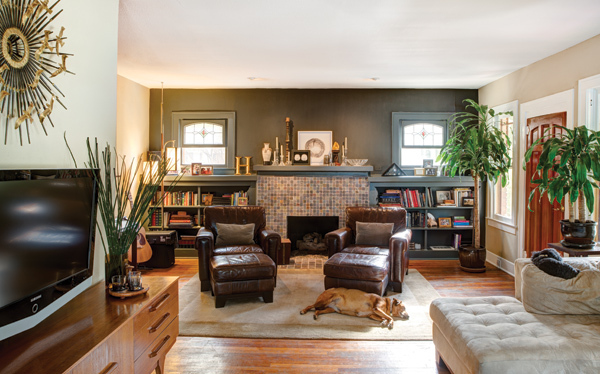 Craftsman meets midcentury in the spacious living and dining area. A Danish modern table seating eight is paired with Eames’ Moller chairs and a 1950s credenza. An assemblage of black and white portraits of family and friends in white wooden frames anchors the room.A washstand with marble top belonging to Clay’s grandmother now serves as the couple’s bar. Kristin designed and made a matching liquor rack for Clay as a Christmas gift.Warm chocolate walls in the kitchen contrast with brushed copper counters on the drain board and serving bar. 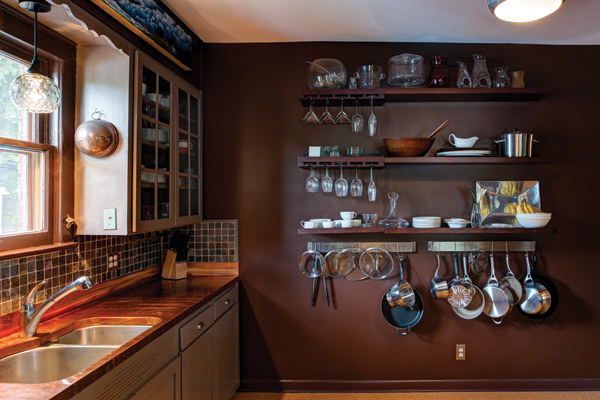 Three horizontal tiers of floating mahogany shelves hold crystal, serving pieces, wooden bowls and stainless cookware in contemporary open display. 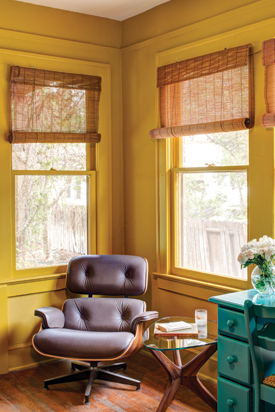 “The dark colors make the room feel bigger because there is no end to it,” explains Kristin. In the master bedroom midcentury nightstands flank the bed with a white leather headboard enveloped in a creamy white down comforter. Above, a ‘60s sputnik chandelier keeps everything in harmonious orbit.